Copy it, Master it, and Paint it with Painthouse Paint. Read our article for tips and things to consider when painting different surfaces with Painthouse paint. All your questions answered and insider tips to help you get the job done. Usually, when we paint a room we spend a bit of time before hand deciding what paint we want to use. We tend to use emulsion paint for the walls and an eggshell finish for the wooden furnishings, but then there are the wood stains, gloss paint, flat eggshell and satin finishes! The list is endless and can often leave us feeling a little bit confused in finding the right finish (choosing the colour is another thing! ).This is where Painthouse comes in; they have created a paint that does it all. Their water-based flat matt interior paint works on walls, ceilings and wood. Yep – that’s right you don’t have to choose different finishes and pore over different sheen finishes and durability for hours trying to choose the right finish. Painthouse have made it easy. The Painthouse Interior range, including the fire retardant paint, can be applied directly over previously painted walls or straight onto bare plaster. Can the fire retardant paint is that usedin the same way? Yes! It can be applied just like the rest of the Painthouse emulsion; over pre-painted walls or on to new walls without the need of a separate base coat. You can apply the Painthouse paints with either a brush or roller and paint it on windowsills, skirting boards, doors and door frames - even furniture! If you purchase one of their 100ml tester tubes you can even apply it with the handy sponge built into the lid – great for stencil work. Painthouse paint gives great coverage on plaster and carries colour pigment really well leaving you with a gorgeous flat matt finish. The magic with this paint is that if you love the colour on your walls you can carry the paint onto the cupboards, doors and skirting boards. What about pre-painted and previously stained wood? Just sand the sheen back to remove any flaking paint, give the wood a good clean down removing any dust or grease. Then just thin Painthouse paint with 10% water and use it as a primer, yes – really that simple no need for a separate primer saving you money! And wood that’s never been painted before? Some timber can be more porous than others and the paint can adhere to it differently. We’d recommend doing a test area before painting the whole thing. If the timber has a lot of resin or lots of dark knots we’d suggest a sealant or knot blocker prior to painting it with the top coat. What about painting on to Wallpaper? Wallpaper should be removed and the wall sanded down and cleaned. 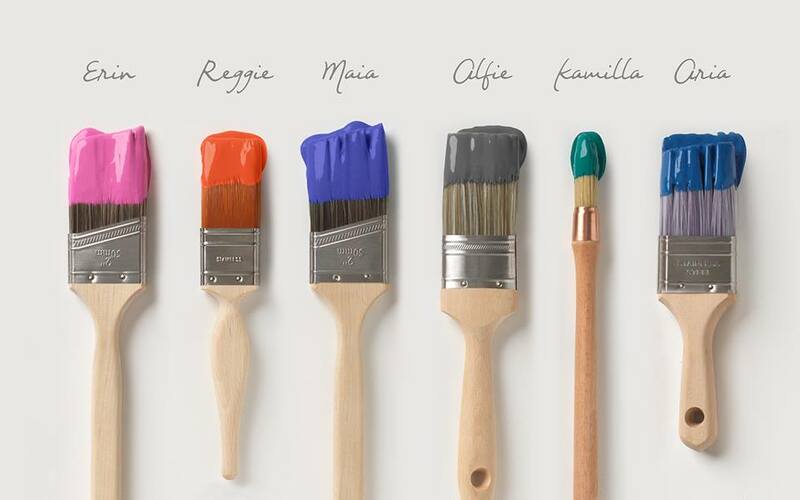 So it’s a paint that you can paint, literally anywhere inside, but what about its eco credentials? Well, Painthouse is a water-based paint that doesn’t contain any solvents and nasty chemicals. It has also been awarded the Gold Certificate for indoor air comfort for low VOC emission, a pretty big deal for the 80% of the population that spend most of their time indoors. In short this label combines all relevant European regulations which show all the additional compliance of product emissions with the criteria of many of the voluntary specifications issues by similar “ecolabels” and specifications in the EU. “These programs include an internal quality program at the production site to ensure continuous manufacture of low-emitting products, including on-site audits, re-testing and certification - all together giving a very high level of reliability of the statement on very low VOC emissions.” – Eurofins Scientific. What are you waiting for? Time to jump into some old clothes and start painting! Remember to start at the top and working down to the bottom, and cut in first.